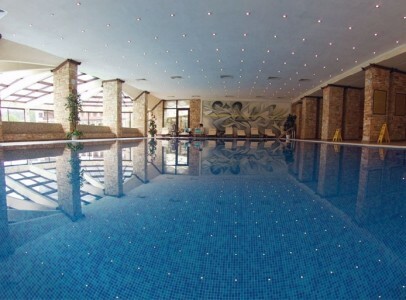 Spa complex Saint Spas is located in the Bulgarian Spa Capital -Velingrad. 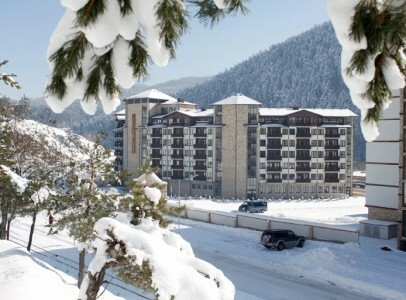 The hotel is set among among pine-tree hills, wide velvet meadows, crystal blue sky and bright sun. The Spa complex is suitable for all year-round accommodation as it offers spa therapy and mineral and pure drinking water.The hotel consists of a residential part, a therapeutic and diagnostic centre, entertainment facilities and service facilities. Wireless high-speed Internet access is complimentary in public areas. There are designated areas for smoking. Amenities at Saint Spas include telephone and satellite connection, indoor and outdoor 24-hour parking lot. Rooms are equipped with flat-screen TV’s with cable channels and phones. Dining facilities include an exquisite restaurant with a terrace, an elegant panorama bar restaurant with a spectacular view of the Orpheus mountain, a lobby bar. The SPA zone offers 2 rooms for cosmetic treatments, 15 massage rooms and 6 rooms with bath-tubes, Egypt bath, Turkish bath and Solarium. There are also a fitness and beauty centers. The Wellness zone consists of 2 indoor swimming pools with mineral water, Finnish sauna, sauna with chromo-therapy, Steam bath, Relax Room, Fresh and Vitamin bar. In the Medical area there are rooms for Physiotherapy, Cardiology and Internal medicine, Gynecology, Surgery, Gastroenterology, Urology and Dermatology, laboratory, hall for Kinesitherapy, Therapeutic room, light therapy, ultrasound, inhalations, water therapy. For children there is a computer room and a kids’ corner. 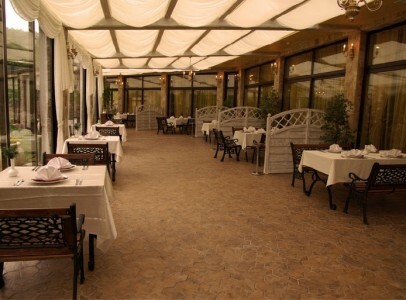 Sports tournaments in bridge, chess and backgammon, table tennis, water polo can be organized upon request. Swimming courses for individuals and groups, Bulgarian national folklore dances, aerobics, water gymnastics groups available upon request. Experienced professionals take care of little children.